AORUS GEFORCE RTX 2080 Ti GPU The AORUS GeForce RTX 2080 Ti delivers the ultimate PC gaming experience with an additional two outputs. Powered by the new NVIDIA Turing™ GPU architecture and the innovative RTX platform, RTX graphics cards combine real-time ray tracing, artificial intelligence, and programmable shading. Featuring GeForce RTX 2080 Ti integrated 11GB GDDR6 256-bit memory interface, this is a completely new way to experience games. WINDFORCE STACK provides 3X Cooling System with alternate spinning fans. You can also customise the appearance of your GPU using RGB Fusion. ALTERNATE SPINNING FANS The WINDFORCE STACK 3X cooling system features 3x 100mm Stack fans which spin alternately, composite copper heat pipes, heat-pipe direct touch and 3D active fan functionality, together delivering an effective heat dissipation capacity for higher performance at lower temperatures. The middle fan spins in reverse to optimize airflow for heat dissipation, enabling more efficient performance at lower temperatures. The double ball bearing structure has better heat endurance and efficiency than sleeve structure. AORUS Style for your GPU! RGB FUSION COMPATIBLE The reinvented RGB lighting technology breaks through the traditional lighting restrictions. It can create a variety of incredible lighting effects to satisfy the visual enjoyment of each player. The AORUS also features a Metal Back Plate with RGB AORUS logo Illumination for even more dazzling looks. EXTRA HDMI Slots and usb-c AORUS provides a total of 7 video outputs compared to the reference card 5 video outputs. An additional 2 HDMI ports allow consumers to have greater flexibility when connecting to the display. You can choose 3xHDMI + 1xDP + 1xUSB-C or 3xDP + 1xHDMI + 1xUSB-C for your monitors without any adaptors. Extreme durability and overclocking The cutting edge intuitive interface allows you to adjust the clock speed, voltage, fan performance and power target in real-time according to your game’s requirements. Simply click on the AORUS engine and you can easily adjust the card to meet different requirements without any overclocking knowledge. The interface and functionality of the software is subject to each model. The graphics card uses the 16+3 power phase design to allow the MOSFET to operate at lower temperature, and over-temperature protection design and load balancing for each MOSFET, plus the Ultra Durable certified chokes and capacitors, to provide excellent performance and longer system life. 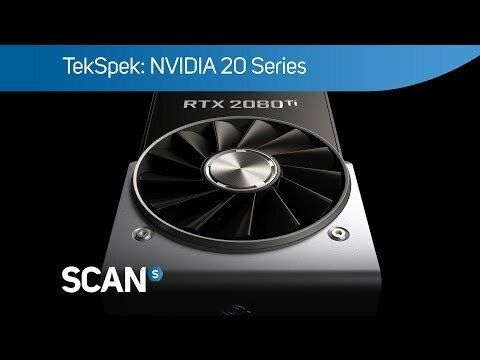 ALTERNATE SPINNING FANS GeForce RTX 2080 Ti with 11GB memory and 616 GB/s memory bandwidth has 4352 CUDA Cores and hundreds of Tensor cores operating in parallel. It is the most suitable entry point for those who are developing A.I. technology. It doesn’t only offer great cost-benefits, it can also save you time due to increased throughput and efficiency. AORUS graphics are dedicated to perfect quality. Excellent circuit design with the top-grade materials, not only maximizes the performance of the GPU, but also maintains stable and long-life operation. Online registration required We want you to experience the best service you have ever had. This is why, on top of our standard 3-year warranty, we would like to offer you an additional 1 year of protection to your graphics card free of charge. You can enjoy a 4-year warranty by registering on the website within 30 days of purchase. Gigabyte GeForce RTX 2080 Ti AORUS 11GB GDDR6 Ray-Tracing Graphics Card, 4352 Core, 1350MHz GPU, 1695MHz Boost is rated 5.0 out of 5 by 1.